Russian investments into the infrastructure for transporting gas to China, compressor stations will total $55 billion, according to Gazprom CEO Alexei Miller. Russian gas supplies to China via the eastern route may begin in four to six years’ time, Energy Minister Aleksandr Novak told the media. The gas price formula for China is developed similar to that for Europe, Russian President Vladimir Putin told reporters in this Chinese city on Wednesday. “The gas price formula as in other our contracts is pegged to the market price of oil and oil products,” Putin said. “This is linked to it as a formula of computing the price for European consumers. This is a formula which is pegged to the market price of oil and oil products,” Putin said. The Russian president called the reached agreements on Wednesday as the largest ever in the history of the Russian and Soviet natural gas sector. He said it would take four years to implement the contract, while investments into the project would exceed $70 billion both from China and Russia. 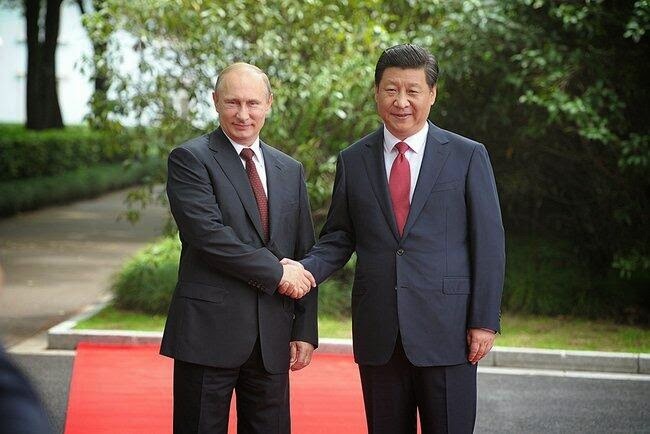 Putin added that Russia and China began joint work on the development of the western route of natural gas supplies to China with possible diversification of the route. The major contract signed on Wednesday was negotiated for several years. Gazprom expected to get $400 as a starting price for 1 thousand cu. m. of gas for China. The Chinese side wanted to buy gas for $350-360. The implementation of the gas contract with China will begin tomorrow and the parties are also beginning to work on the Western gas supply route, Russian President Vladimir Putin said. "The contract has been signed today and the work will begin tomorrow. Secondly, it makes it possible for us to begin the next project with our Chinese partners, namely, to begin working on the Western supply route," Putin told reporters in Shanghai on Wednesday, commenting on the historical gas contract signed with China. Putin said he is referring to the supply of gas "from the Western Siberia resources." Simultaneously, "it will make it possible for us to realize our plans to develop Russia's gas industry by connecting the eastern and western parts of extraction with the appropriate infrastructure." "If need be, supplies can be diversified from the west to the east and from the east to the west," he said. The deal between Russia's Gazprom and China National Petroleum Corp (CNPC) has been 10 years in the making. President Putin said in a statement to the Russian news channel Rossiya: "The price is satisfactory for both sides.